ABSOLUTELY STUNNING CUSTOM HOME! The builder, Preston Green, strives to pay attention to all those little details! Truly one of the most unique communities in Athens & less than 10 min to I65! 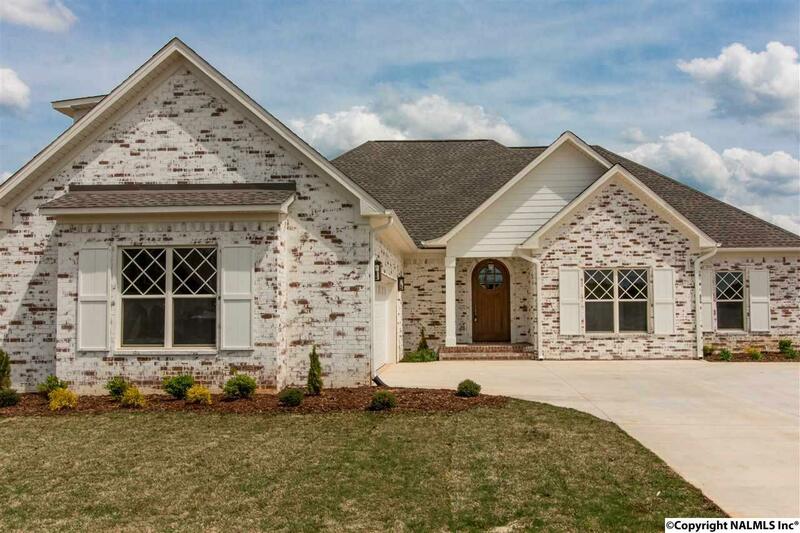 4 bdr, 2.5 bath, large bonus/5th bdr, open floor plan, cathedral ceilings w/ beams, hardwood (no carpet at all) brick fireplaces, built-ins, extensive trim, mud bench, barn sliding door, custom painted cabinets, huge island, granite, walk-in master closet w/ built-ins, tiled shower w/ frameless door, free standing tub, spare bath has double sinks w/ granite, upscale lighting & plumbing fixtures, oversized garage w/ storage room, tankless water heater, fully sodded w/ sprinkler system, lime wash brick.